U.S. and Mexico Federal officials have agreed to further explore the circumstances that surround the massive dump of nearly 143 million gallons of raw sewage into the Pacific Ocean and that heavily polluted the Tijuana River Valley and beaches in southern California. Imperial and Coronado beaches are currently closed. Beachgoers are asked to refrain from swimming, walking, and playing in the ocean until further notice. “NOW!” chanted a boisterous crowd of city officials, residents, environmentalists, and border patrolman at a ‘Take Action’ rally at the Tijuana Estuary Visitor’s Center in Imperial Beach on Thursday evening. Imperial Beach Mayor Serge Dedina rallies the crowd in support of taking action and demanding a federal investigation into the recent spill. 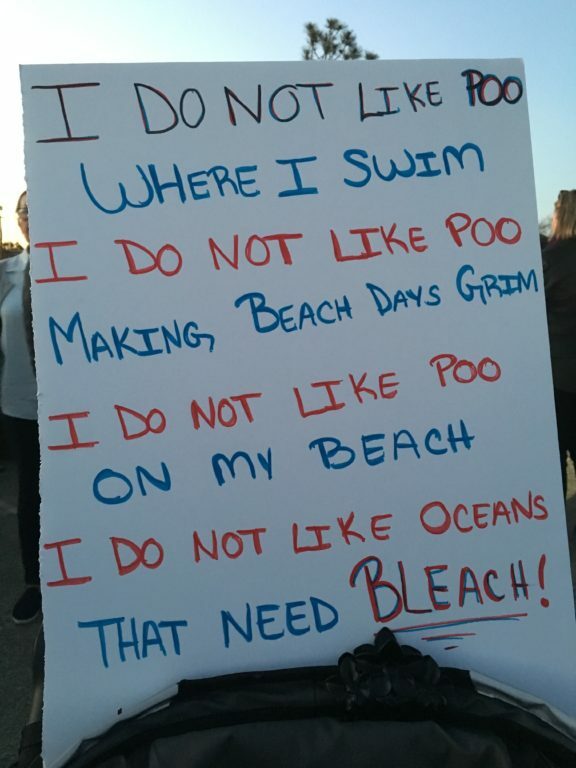 Hundreds of San Diego County residents attended the gathering to write letters to federal officials demanding that they make cleaning up our border beaches a priority, and immediately open an investigation into the recent spill. 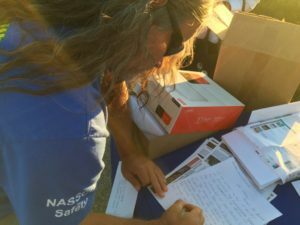 Barron Partlow, a resident of the Tijuana River Valley, writing a letter to Congressman Vargas. According to Wildcoast, on Thursday, March 2, 2017, just hours before the scheduled meeting and press conference, the International Boundary and Water Commission requested a bi-national investigation be performed to determine when the spill occurred, calculate the amount of spillage, identify the characteristics of the sewage, and lapses in communication and notification efforts to the community and its leaders. Men, women, and children of all ages attended Thursday’s rally in Imperial Beach. “This specific spill isn’t happening today, but there are still spills happening,” announced San Diego Councilman David Alvarez, during the press conference. Following the news conference, the U.S. Citizens Advisory Committee of the International Water Commission held an open forum with the public. During the meeting, Steve Smullen, Area Operations Manager at International Boundary & Water Commission (U.S. Section) revealed that over a sixteen day period the U.S. Section made multiple inquiries to the Mexican Section and received a response on February 23, 2017. 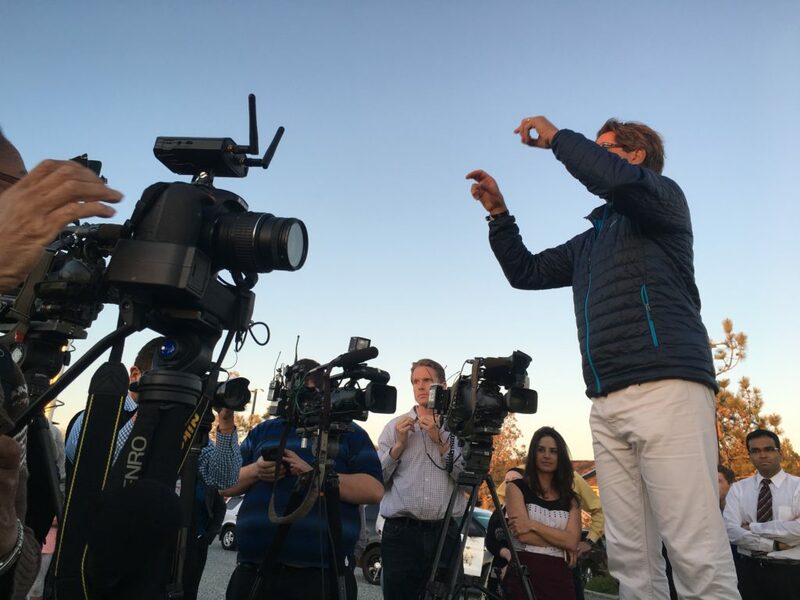 “There are differing accounts regarding when the problem began, when repairs were completed, the amount of sewage that spilled, the period when sewage was flowing into the river, whether there was one event or multiple events that contributed,” he said. “Because of the differences in the accounts, it’s important to investigate to determine what actually happened,” he added. 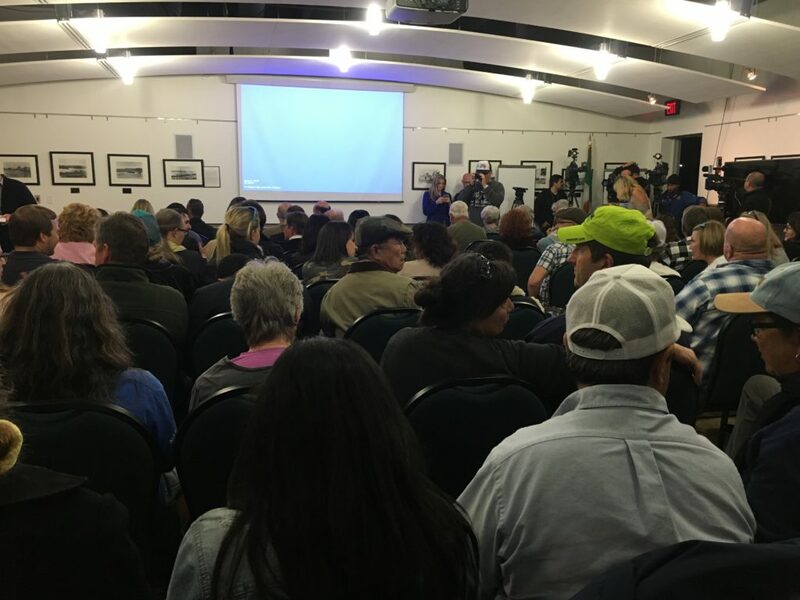 Hundreds of residents attended a public forum on Thursday evening held by the U. S. section of the International Boundary and Water Commission. “We hope we can get some momentum forward, so we can finally fix this issue,” he added. Federal investigation into recent spill. New NADB (North American Development Bank) plan for Tijuana upgrading sewage system a funding priority. Fixing water quality problems and not desal as a priority on the border. 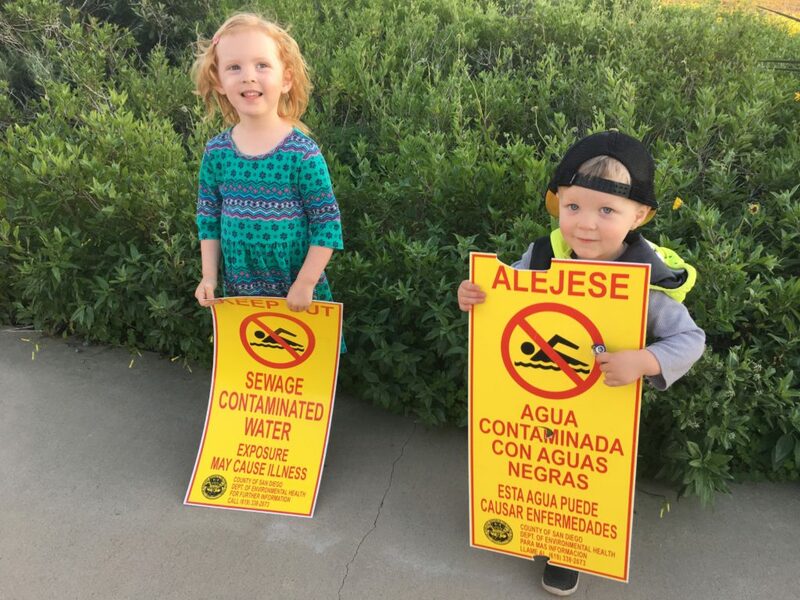 It is critical that government agencies work with Mexico to reduce unnecessary sewage flows in the Tijuana River and improve management of infrastructure that helps prevent beach closures due to hazardous pollutants in South San Diego. This has been a recurring problem in the Tijuana River Valley and the most recent untreated sewage spill is not acceptable. Remember, it’s important to include your name and address in your letter and tell them why having your beaches clean is important to you!